Research Group: Coastal Zone Planning & Manag. I am a physical geographer and soil scientist, currently working as a research scientist (fellow) at CESAM - Centre for Environmental and Marine Studies - of the University of Aveiro, Portugal. My primary research interest is the interaction between vegetation and its abiotic environment, particularly vegetation - soil organic matter (SOM) - soil hydrology dynamics. In practical terms this often relates to researching the interaction between climate or soil management and dynamics of SOM, soil erosion and desertification. - Funded by the UK Department of Food and Rural Affairs (DEFRA). - Supervisor: Professor Mark Kibblewhite. M.Sc. in Physical Geography: soil water repellency caused by soil organic matter underneath three dominant shrub species (2001). University of Amsterdam The Netherlands. - Supervisor: Dr. Erik Cammeraat. My prior and ongoing research has given me mastery over a variety of methods of data collection and analysis, at a variety of scales. In my MSc research, I collected soil water repellency and infiltration data for fertile island vegetation in semi-arid SE Spain (Verheijen and Cammeraat, 2007). In my PhD research, I applied generalized regression models on a national soil database (Verheijen et al., 2005). In my first postdoc position, I used representativeness analyses to develop an EU-wide soil monitoring system (Jones et al., 2008). In my correspondence in Nature (Verheijen, 2015), I contributed to the scientific discourse on international soil policy needs by highlighting the intercontinental transport of soil. In my postdoc position at the EC JRC, I learned and applied meta-analysis techniques in the first global study of biochar and crop yields (Jeffery et al., 2011; now cited >1,000 times in Google Scholar). In my third and fourth postdoc, I combined laboratory spectroscopic analysis with a first order global energy balance model to assess implications for climate change mitigation of biochar–albedo relationships (Verheijen et al., 2013). My fourth and fifth postdocs (in Portugal, FCT-funded) allowed integration of laboratory scale – rainfall simulations (Abrol et al., 2016), ecotoxicology (Amaro et al., 2016; Prodana et al., 2019) and field scale (MASCC project) - while continuing continental and global scale research (Verheijen et al., 2017; Jeffery et al., 2017). Currently, I am an assistant researcher (Norma Transitória) in the area of Environment and Agriculture on the topic of Sustainable Management of Soil and Organic Matter Resources. It is my firm belief that to deal successfully with the challenges posed by climate and land use change on the one hand, and food security and environmental functioning on the other, researchers are needed with both broad and deep skills. I have attempted to achieve this through my education and research experience and hope to apply and extend my skills to understand the planet better and help keep it viable and functioning. I received the 2017 Research Day award from the University of Aveiro "in recognition of the significance and quality of the research developed at the UA". I was awarded Researcher of the Month for April 2016 at the University of Aveiro. Read the accompanying interview here. With my co-authors, I contributed to the discourse on soil policy with a correspondence in Nature magazine. 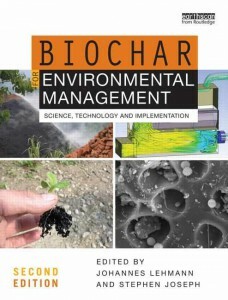 With my co-authors, I published a book chapter in the 2nd edition of 'Biochar for Environmental Management', edited by Johannes Lehmann & Stephen Joseph. The chapter is titled 'Biochar Sustainability and Certification' and outlines a concept of how sustainable biochar would need to be certified both from the production perspective as well as the environmental application perspective. I visited the Volcani Center (Israel) on a Short Term Scientific Mission (COST-STSM-TD1107-13644) in January-February 2014 to work with Meni Ben-Hur and Ellen Graber on the effect of biochar on soil erosion, using a perforated-tray rotating disc type rainfall simulator. I published a review on tolerable soil erosion in EARTH-SCIENCE REVIEWS. With my co-authors we reviewed the definitions of 'tolerable soil erosion' and extensively reviewed the literature to derive soil formation rates, including dust deposition (to an extent), as a basis for defining tolerable soil erosion rates in Europe. Opponent and member of thesis committee of Renske Hijbeek, Wageningen University, 03-10-2017. Thesis title: "On the role of soil organic matter for crop production in European arable farming". Lecture for postgraduate course (programa doctoral), DAO, UA, 03-04-2017, titled "Soil Management". Lecture for postgraduate course (programa doctoral), DAO, UA, 14-12-2012, titled "Introduction to biochar". Lecture at 1st international Summer School on biochar "Bio:char crossroads", 9-16 September 2012, titled "Comparing results from studies of biochar effects". In June 2014, together with Ana Catarina Bastos, I organised a 2-day, joined WG2 & WG4 meeting for the COST Action TD1107 (Biochar as option for sustainable resource management), titled 'Biochar: on the path to the required level of scientific understanding'. Forty scientists participated in thematic groups. The outcome is published in a special issue. I convened a symposium at EUROSOIL2012 titled 'Effects of Biochar on Soil Properties, Processes and Functions' (S5.3). Here we brought together leading scientists from across the world to present their latest results. A total of 85 oral and poster presentations were made, constituting the third largest session at the conference after the classical sessions on soil erosion and soil organic matter. I organised an EU side-event on biochar at the COP15 in Copenhagen, Denmark. It was a well-attended event, chaired by Luca Montanarella (JRC) with presentations by Johannes Lehmann (Cornell University), Saran Sohi (University of Edinburgh), and me. I presented on biochar effects on soils, including important knowledge gaps (see presentation here), and published a major JRC (European Commission) report on biochar. 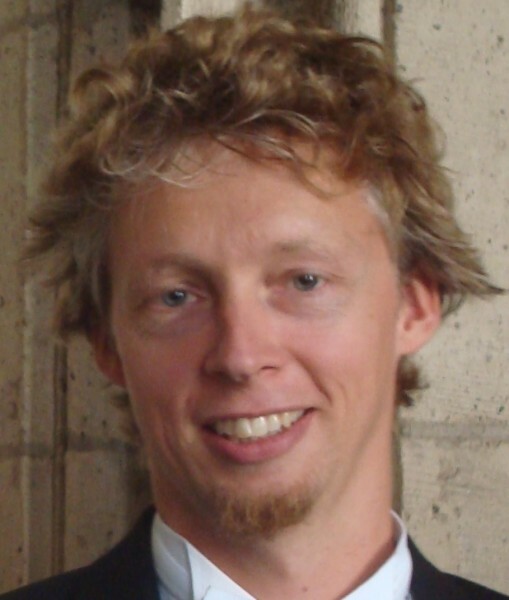 I joined the International Biochar Initiative's new and independent Scientific Committee whose mission is to "critically assess and synthesize the scientific literature regarding the interactions between biochar and soils, the wider environment, and human health, and to provide an interface between science and the general public where the science is explained in a transparent and balanced way using broadly accessible language". 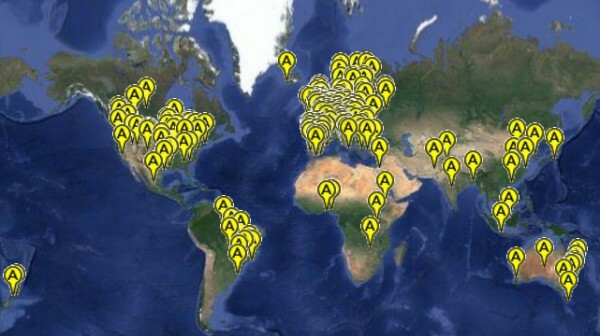 The Science Committee is made up of 16 scientists from across the world. COST Action TD1107 ‘Biochar as option for sustainable resource management’. I was the national representative of Portugal for this COST Action, which connected scattered European Biochar research to enable quick implementation of intelligent material flow management systems, to maintain or improve soil quality while efficiently sequestering carbon in the long-term. The Action aimed at coordinating European Biochar research, bringing together researchers, stakeholders and potential users from EU and candidate countries. I was the leader of WG2 'Land Use Management', which compared Biochar's effects along Trans-European climatic gradients based on meta data. Launch of the Biochar Investigation Network of Portugal (BINP). The mission of BINP is to bring together people involved in biochar research and production in Portugal, to facilitate collaborations by providing a platform for networking, to disseminate national and international biochar news, funding opportunities, conferences and workshops. Postdoctoral research fellow funded by the FCT (SFRH/BPD/107913/2015) on the topic: Increasing Soil Resilience with Waste-derived Biochar – adapting Portuguese Soils to Climate Change (SoilRes). Postdoctoral research fellow funded by the FCT (SFRH/BPD/74108/2010) on the topic: Soil Erosion and Production After Biochar Application. Achievements included: the first biochar and crop yield meta-analysis; installation of the first biochar vineyard field experiment in Portugal; start and completion of the first biochar project funded by the FCT (EXPLOCHAR); the first experimental study on biochar and soil surface albedo; the first biochar wind erosion study; two book chapters in the 'biochar bible'; an authored section in the Global Soil Biodiversity Atlas; Steering Committee membership and working group leader (group 2 'land use management') for the biochar COST action TD1107; biochar soil erosion study in collaboration with the Volcani Centre in Israel. Postdoctoral researcher (grantholder) at the Institute of Environment and Sustainability of the Joint Research Centre (European Commission), Ispra, Italy. Responsible for the JRC deliverables in the iSOIL project (Interactions between soil related sciences - linking geophysics, soil science and digital soil mapping; FP7; €3.4 million). Initiated a major critical scientific review of biochar application to soils, leading and managing an interdisciplinary team of researchers to produce a peer-reviewed JRC Scientific & Technical Report, including a quantitative meta-analysis between biochar and crop production. 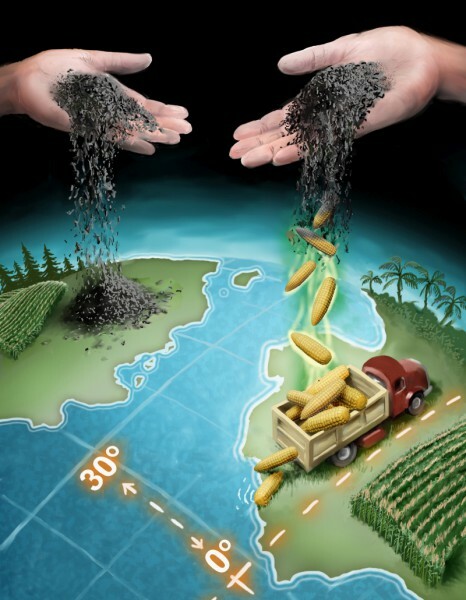 This report has received international recognition leading to a role as one of the global experts on biochar, which is reflected in invited roles at a number of major biochar meetings. Postdoctoral researcher on NERC-funded project ‘The effects of fire on peatland carbon stocks and dynamics'. Duties include: installation and maintenance of long term monitoring plots at remote field site in SW Scotland (hydrological, meteorological, vegetation, microbial, chemical and physical soil properties); day to day project management; remote sensing at micro and meso scale; FTIR analyses; molecular biology analyses; microbial activity analyses; Black Carbon analyses. Postdoctoral researcher on the ENVASSO project (€2 million; EC contract no. 022713-STP), which aimed to harmonise EU soil monitoring. Duties included: delivering expertise to project consortium on the soil threats ‘soil erosion', ‘soil organic matter decline', and desertification as well as designing and writing a ‘glossary of key terms for soil monitoring' (cooperating with ISO), running workshops for the UK soil policy arena, and reviewing project reports. I have reviewed manuscripts for the journals: Nature Geoscience, GLobal Change Biology, Catena, Geoderma, Agriculture Ecosystems & Environment, Plant & Soil, Soil Science Society of America Journal, European Journal of Soil Science, Soil Use & Management, Journal of Soil and Water Conservation, Environmental Science & Technology, Fuel, Journal of Agricultural Biotechnology and Sustainable Development, Carbon, Carbon Management, Environmental Research Letters, the Irish Geographical Society, Journal of Environmental Management, Soil Biology & Biochemistry, Science of the Total Environment, Journal of Environmental Quality. I have reviewed project proposals for the Research Foundation of Flanders (FWO), the Czech Republic EEA call ‘Norway Grants (Norwegian Financial mechanism 2009-2014)', the Polish national science centre, and the French Environment and Energy Agency (ADEME): Nouvel appel à projets R&D: APR REACCTIF REcherche sur l'Atténuation du Changement ClimaTique par l'agrIculture et la Forêt. I evaluated a PhD proposal submitted to Expeer, a major European Infrastructure project (2010-2014) in the field of Ecosystem Research. - I am one of the guest editors of the upcoming special issue in Agronomy titled "The Biochar Loading Capacity - the Soil is the Limit". Expected in summer 2018. - I was the leading Guest Editor for a special issue of the European Journal of Soil Science (Volume 65, Issue 1, Pages 1–195): "Biochar in soils: new insights". "The sixteen accepted manuscripts submitted from Africa, Asia, Australia & New Zealand, Europe, North and Latin America and the Middle East, describe the latest findings on how biochar affects auto- and heterotrophic soil respiration, nutrient dynamics, sorption of soil contaminants, water dynamics, redox reactions, and rhizosphere interactions." - I was a guest editor for a special issue of the Journal of Soils and Sediments (Volume 15, Issue 4, Pages 745-1038): "Impact of Natural and Anthropogenic Pyrogenic Carbon in Soils and Sediments", featuring 27 articles from across the world.